Hi, my name is Jon Yagla and I have been growing organic fruits and vegetables on small-scale rural and urban farms for over ten years. The name “Jagla” is Polish for millet, which is one of the oldest human foods and believed to be the first domesticated grain. It seems fitting that we embrace this name as we strive to reconnect with subsistence agriculture as a way of life. With help from my dad Steve and friends, we are growing food for home use and the neighborhood CSA. 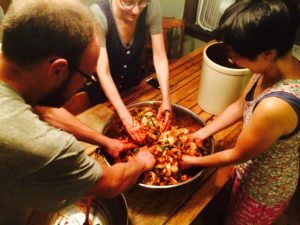 Our goal is to actively reduce participation in an economy and culture that relies on exploitation and oppression for it’s subsistence. We hope to provide a model for homesteading in the urban environment and a place where people can learn and share skills for doing this. We believe that 100% of our communities fruits and vegetables can be grown within the city limits and hope to encourage more mini farms and less lawns throughout our community. All of the gardening is done with hand tools and we are always working on systems that will reduce the use of fossil fuels. 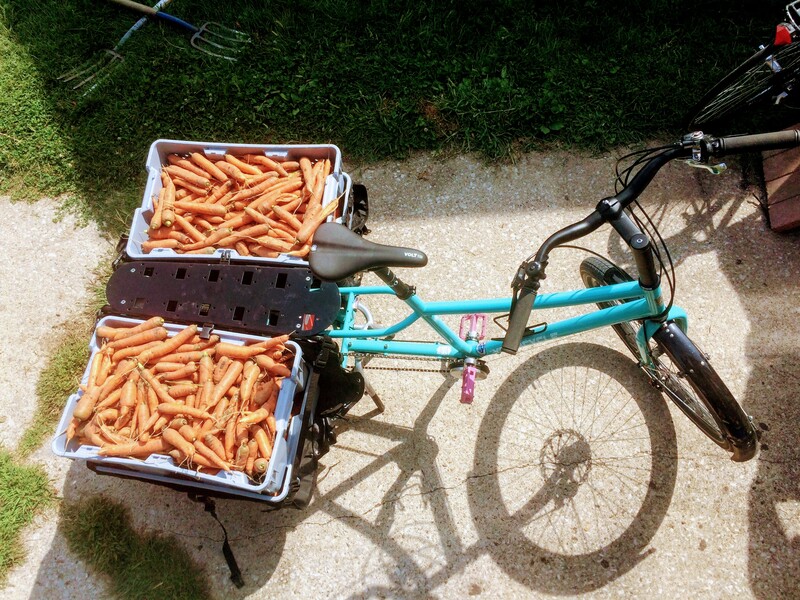 Without owning an automobile, tractor, or tiller our farm uses much less energy than most to produce organic food for the neighborhood. My specialty is food production but I am always striving to learn more about sustainable energy, water catchment, and natural building. 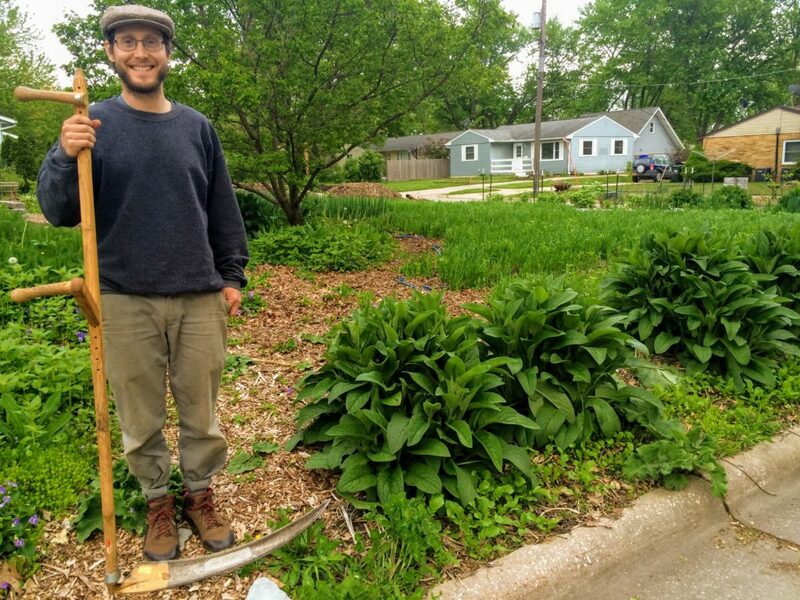 I currently live and garden with the trillions of beings in my biocommunity just three houses down from where I grew up in Iowa City. 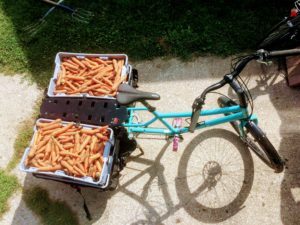 I am so grateful to be a part of a neighborhood where I know so many of my neighbors and have so much support for the unconventional approach of organic farming in front yards . I hope to encourage more neighbor-to-neighbor networking and skill sharing through our homesteading efforts and the CSA.